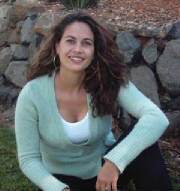 Click on her picture to learn about new author Aris Whittier and her novel Fatal Embrace. Also, check out the featured author page to learn more about established author Sapphire Williams. The Romance Review Spot would like to do a a virtual gift basket sale for charity. The virtual basket would be filled with e-books and would be sold for a set price. The profits from this sale would benefit the childrens shelter. At this moment we are asking authors to donate an ebook to be included in the basket. If you decide to donate please check with your publisher to make sure they approve. We are including authors pages on the site as a free service to author's if interested. For information. We are looking for people who enjoy reading books, can give their honest opinion and can turn in reviews in a timely manner. Please include the subject, reviewer's wanted, in email.